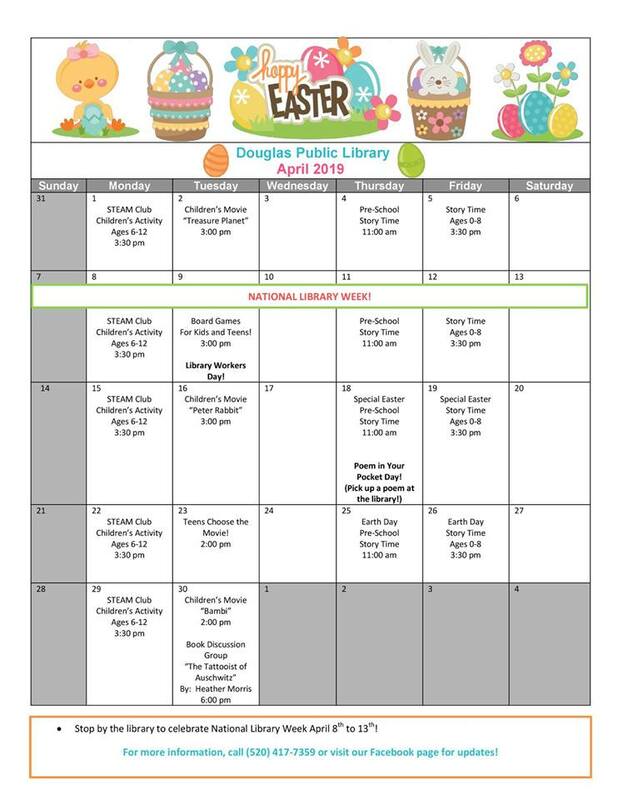 The Douglas Public Library offers a wide range of materials for all ages, in English and Spanish. The library also offers special events throughout the year. Click on the calendar to view full size.